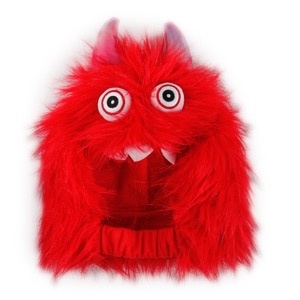 Dog & cat All for Paws - Monster Bunch Hood - Red - Rick's Pet Stores Inc. 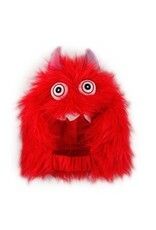 Scary and cute! 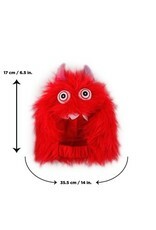 Your dog will be disguised as a furry little monster in this hood. 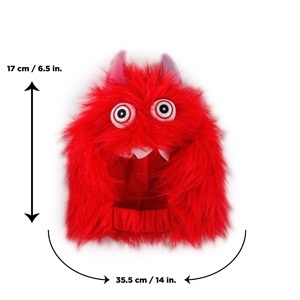 Key Features : Furry hood Fastens easily under the dog’s neck Size (S/M) : Length 17 cm (6.5 in), Neck circumference 35.5 cm (14 in) Caution : You should be able to get two or three fingers between your pet and any fabric or tie that goes around your pet, especially around the neck. Costumes that are too tight can restrict movement and breathing. Never leave your pet alone while dressed in a costume.